Here are the 3 reasons to celebrate Astoria for the first half of 2018. The first quarter of 2018 is a milestone for Astoria Hotels and Resorts (AHR) for, after winning recognition from Kohler Bold Design Awards and the PTAA Travel Tour Expo 2018, qualifying as a nominee in the Philippines’ Leading Hotel Group in the 25th World Travel Awards! AHR, which has been in the hospitality industry for nearly two decades, owes its success to its commitment to providing personalized and unique guest experiences—specifically with full-service residential one- and two-bedroom suites with larger rooms that boast of a receiving area and kitchen, as well as dirty kitchen, and elevators that go straight up to your floor from the parking area. It’s city hotels—Astoria Plaza Ortigas and Astoria Greenbelt in Makati—are strategically located in two of the country’s prime business districts while its resorts—Astoria Boracay, Astoria Current also in Boracay, Astoria Bohol, and Astoria Palawan—are situated in some of the world’s award-winning tropical island paradise! The World Travel Awards aims to recognize, reward, and celebrate the leaders in the tourism and hospitality industry around the globe. The winner per category will be decided through ONLINE VOTING which opened on March 26 and will close on July 22, 2018. Cast your votes now on www.worldtravelawards.com! AHR begins the second half of 2018 by garnering even more accolades, the latest of which is a TripAdvisor Certificate of Excellence Award for the second consecutive year recognizing Astoria Palawan’s global top-notch service based on guest reviews. The eco-friendly resort also emerged as the #1 Hotel in Puerto Princesa, Palawan, besting 52 other hotel contenders. Visiting Astoria is such a dream come true for me. Aside from the promise of an outstanding guest experience, Astoria Palawan’s natural wonders contribute much to its overall appeal. The resort sits on a five-hectare mango orchard with breathtaking beachfront views of Honda Bay and the Sulu Sea. It features two major amenities—the Mangrove Conference and Convention Center, ideal for offsite Meetings, Incentives, Conferences, and Exhibits, or MICE, events; and, the Palawan Waterpark by Astoria, the first and only aquatic playground in Palawan’s capital. 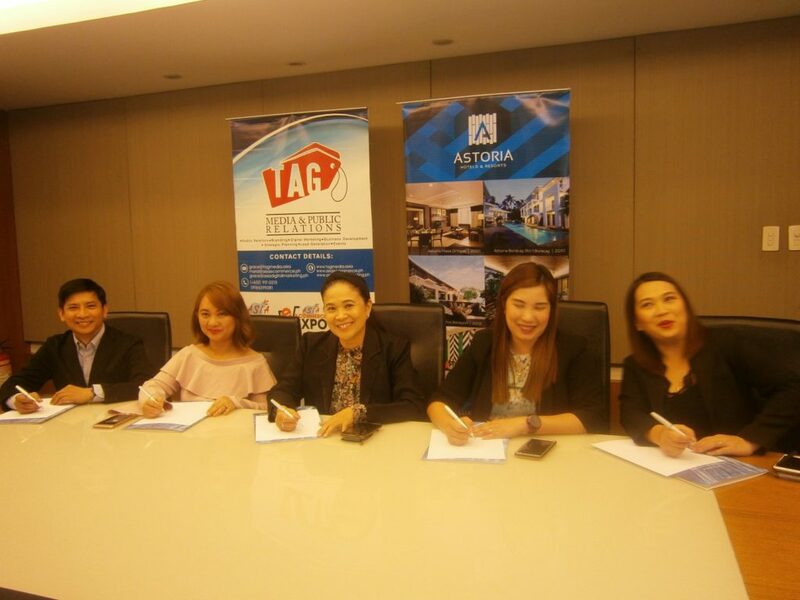 For more information about Astoria Palawan, visit www.astoriapalawan.com or call +63 48 723-0401. 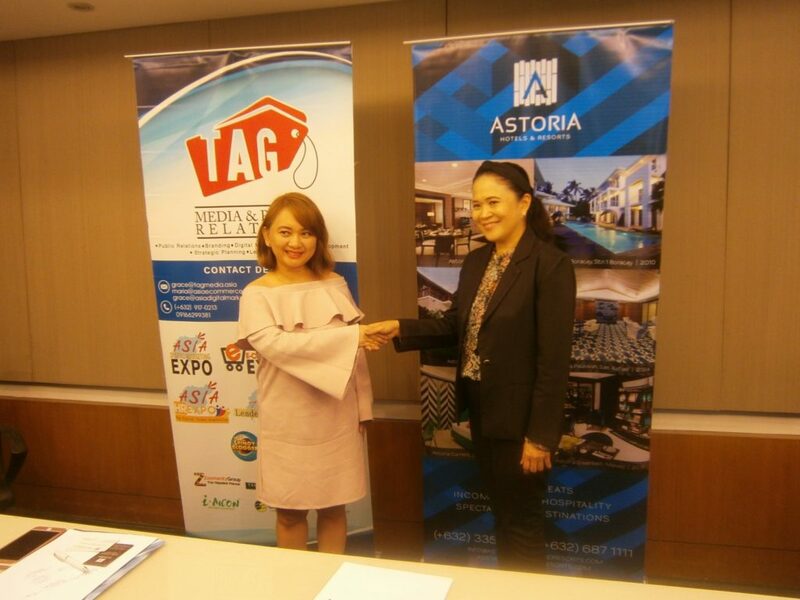 To top its long list of achievements for the first half of 2018, the full-service business and luxury hotel chain Astoria Hotels and Resorts forges a partnership with the TAG Media Group, led founder and COO by Engineer Grace Bondad–Nicolas. 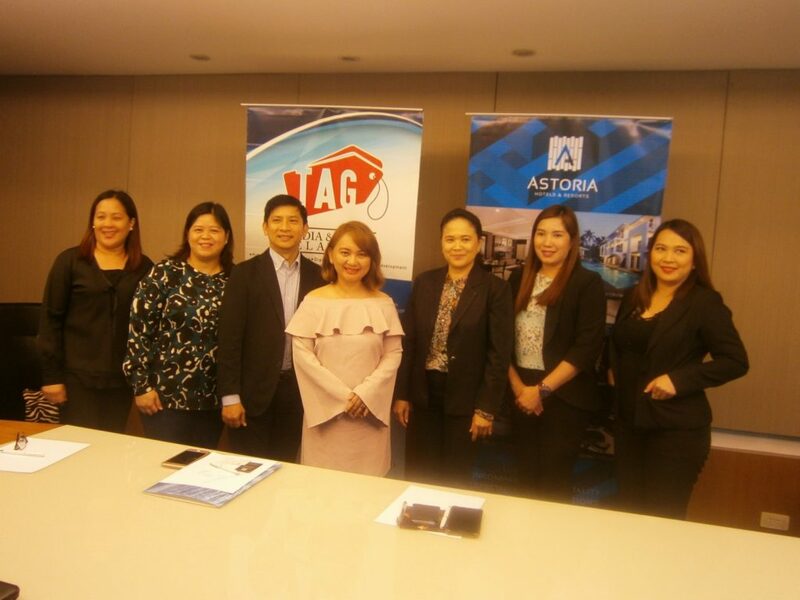 The collaboration which is expected to span TAG Media Group’s many Asia-wide events for 2018 will be launched with the BPO Roadshow that is set to run from August through December 2018! 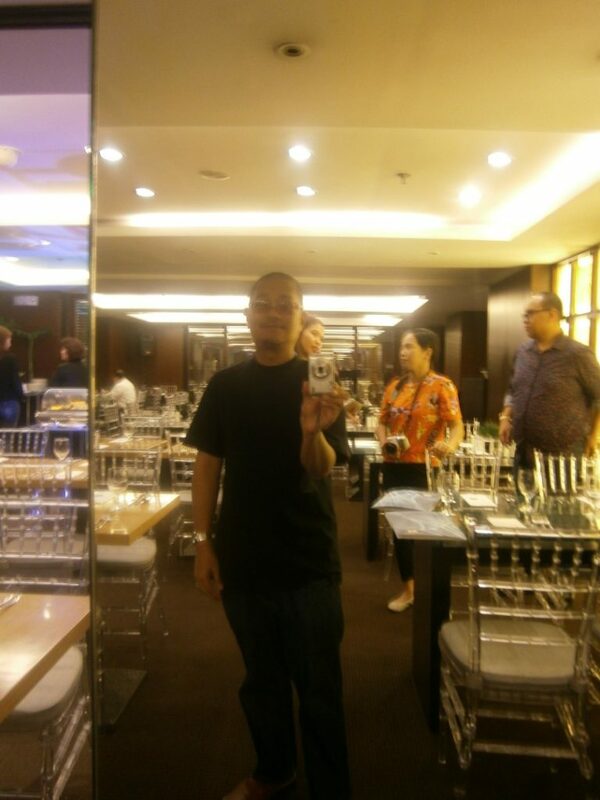 AHR, which has been featured twice in the Philippine Tatler, the #1 luxury guide in the country, never failed the five-member media team during the after contract-signing lunch with a delightful buffet that is friendly to non-meat eaters topped with their classic sumptuous treat of traditional bibingka!